with a good cup of cappuccino. Today was a short day with just one session, albeit a longer than usual one. I started the morning as I have the whole week, with a nice cappuccino. It is tough duty here. The session was a good one with an impressive array of speakers. It started off with Nobel Peace Prize laureate Kailash Satyarthi. He spoke of the importance of channeling anger into something good. He felt that anger combined with selfishness becomes hatred and violence, but anger with compassion can change the world. In a last minute surprise, Chris Anderson showed a prerecorded interview with the Dalai Lama. While I did not hear anything particularly insightful in the interview, it was cool to see and a nice nod on the part of the TED programming staff to the importance of spirituality. I am also amazed that TED now has the gravitas to get an interview with pretty much anyone. 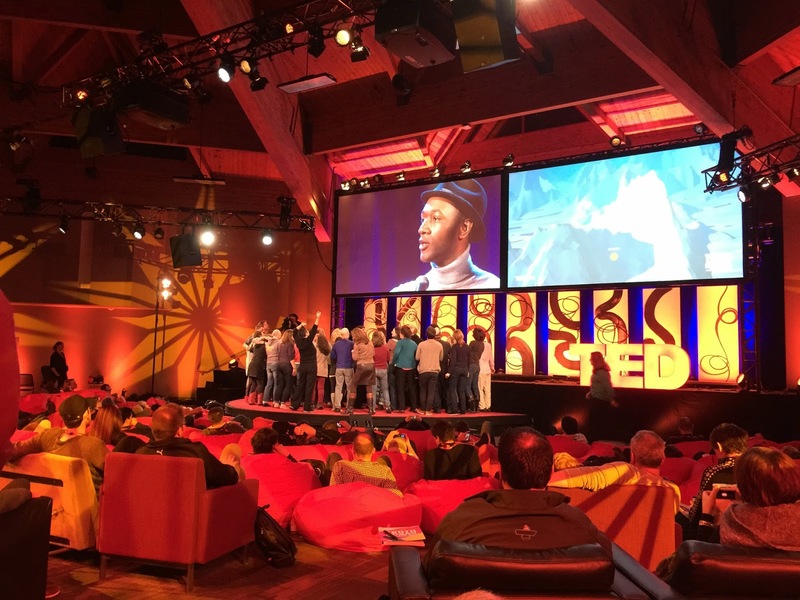 Aloe Blacc, who we heard at the Top of the Mountain party the previous night, performed on the main TED stage. I again enjoyed his music, but thought it worked even better in the more intimate setting last night. Ellen MacArthur spoke about her record-setting, solo sail around the world and how it motivated her to devote herself toward pushing for a more sustainable economy. Sophie Scott did a funny and informative talk on laughter. The best talk of the session was by BJ Miller on caring for dying patients. His life was dramatically changed when a stupid prank in college led to his electrocution and subsequent loss of one arm and both legs. Despite that, he became a doctor and has spent his life working in palliative care. He described how hospitals, and medicine in general, are designed for dealing with diseases rather than people. Much of what he said agreed with what I recently read in Atul Gawande's book, Being Mortal. Miller's goal in working at Zen Hospice Project in San Francisco is to help redesign how we die. He told movingly of the importance of small things like being able to hold a snowball when confined in a burn clinic. And, the great blessing it can be for folks who cannot even eat to be able to smell fresh cookies. He urged that people might live well in light of death rather than in spite of it. The conference concluded with a funny summary by Baratunde Thurston. It is really hard to try to explain or cite what he said. Suffice to say, he managed to do a great job of summarizing an intense week in a funny way that made sense to the people who had been through it. 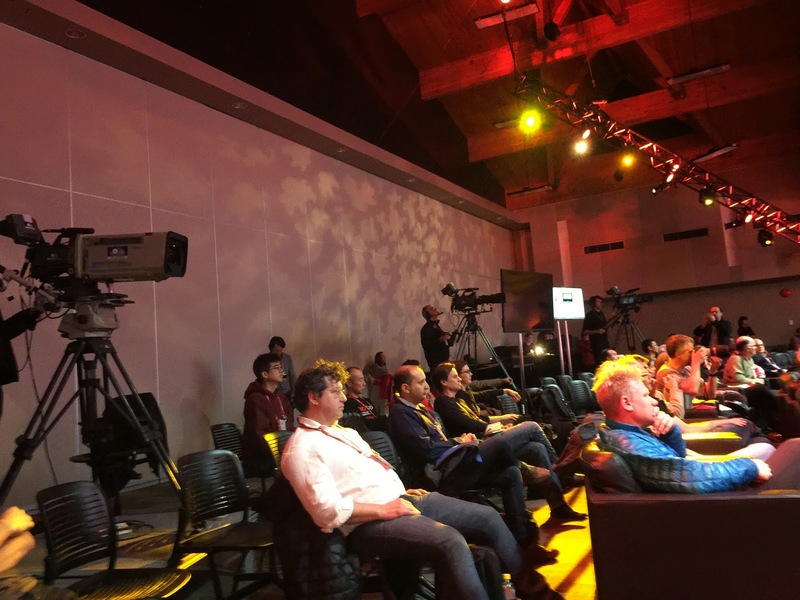 It takes a lot of work to pull off a well run conference like TEDActive. I'm grateful to the many folks who made that happen. They allow attendees to spend their time thinking about the talks rather than the common hassles of the day. It has been a good conference and I look forward to the opportunity to attend again next year. One final note, they have posted the Monica Lewinsky talk on shame. 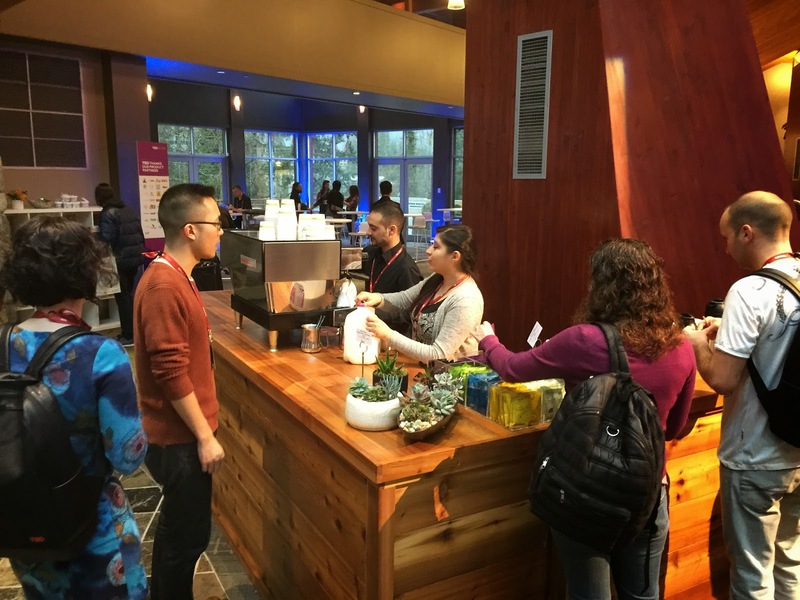 I would recommend folks to check back on the TED site periodically to see when any of the talks I highlighted of interest to you may appear.